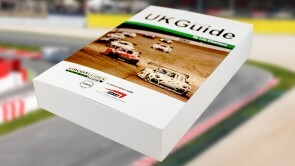 Circuitguides.com have been producing Circuit Guides for track day and racers alike since 1995. Since then thousands of riders and drivers have used our products to learn and improve their skills on track. This was originally written by professional racer David Walton in 1995. It was entirely re-written and updated in 2004 by Les Charneca (who Googles really easily) with some help along the way from Ted Reddick , James Swift and Witt Gamski. Les Charneca has since then kept it current. Originally written by legendary rider Andy Ibbot (who Googles really easily too), it has since been updated by James Swift (Anglesey) and bike racer Mike Edwards (Silverstone, Snetterton and Donington Park). Originally written by David Walton it was completely re-written by ‘Ring Expert’ Ron Simons with editorial help (German to English) from Les Charneca in 2004. Originally written by David Walton it was completely re-written in 2004 by Les Charneca apart from Valencia that was written by legendary touring car racer Tim Sugden.